The biggest sale in town is here once again as SM Center Lemery hold its mall wide 3 DAY SALE on August 3, 4, and 5. Shoppers gets the chance to enjoy value for their money with up to 70% savings on great selection of apparels, fashion accessories, home furnishings, baby needs, sporting goods, electronic gadgets and home appliances with SM Center Lemery’s almost 100 stores to shop to. 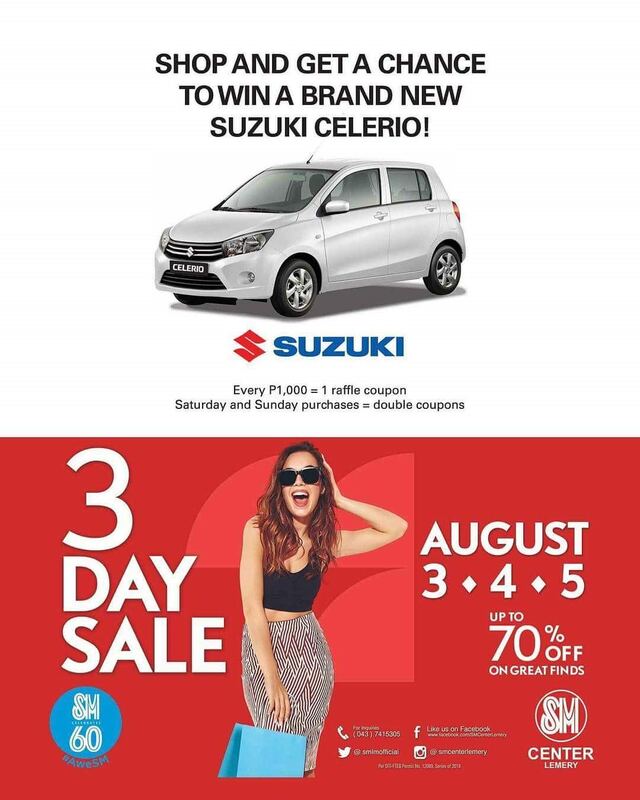 Get also a chance to win a brand new Suzuki Celerio for every P1,000 single receipt purchase cash or charge from SM Hypermarket, ACE Hardware, Surplus Shop, SM Appliance Center, Watsons, Simply Shoes, Miniso and all other participating stores at SM Center Lemery. 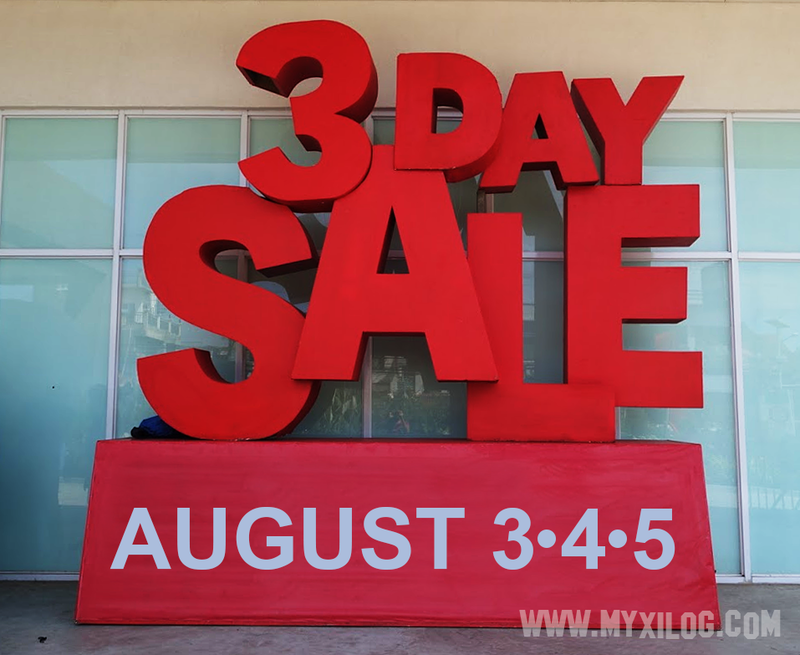 So come and visit SM Center Lemery’s 3 DAY SALE on August 3, 4 and 5 with mall hours extended until 10pm!